Our Norton honors the memory of Pete Johns, the first visionary of New Kent Winery. It has been aged in American Oak barrels for up to five years and offers a rich oaky finish. A complex wine for sipping and savoring. From Anonymous of Gloucester , Virginia on 2/25/2018 . Very food friendly. Heavy Norton taste has been tamed. No heavy tannins. Very nice acidic finish. 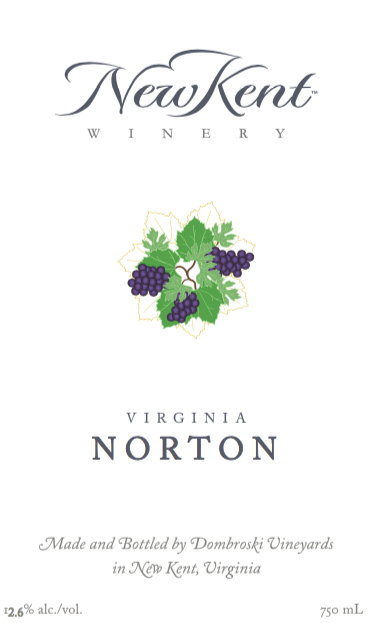 Best Virginia Norton I have tasted. Well worth the price and the best wine New Kent Winery produces.